Amazon’s The Romanoffs tells the stories of people who believe they are descendants of the Romanovs. Each episode tells a new story in a different part of the world. 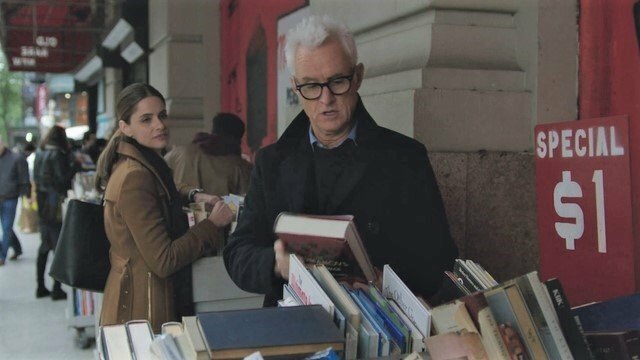 The Romanoffs season 1 episode 4 took place on a day in New York where Julia Wells waits anxiously for her overdue daughter to give birth. Julia Wells was too young to be a grandmother, but her daughter, Ella, was pregnant and about to give birth anyway. Ella was overdue and refused to induce labor. She had married a rich man, Justin, who was on business in Singapore despite his wife’s condition. Julia argued with Ella for choosing to be comfortable by marrying rich instead of being her own person. Ella believed Julia was upset because she wasn’t in control. Eric, Julia’s husband, was excited to be a grandfather. But Julia had a secret. She had an affair with Eric’s best friend Daniel soon after they had gotten married, and Ella was Daniel’s daughter. Daniel married someone else, but the two of them still spoke and saw each other in secret. Daniel wanted to be there for Ella, but he couldn’t. He felt that Julia had made the decision to exclude him from Ella’s life without a say. Daniel had written a book about the Romanovs with help from Eric, a descendant. He had presented his research on the cruise in episode 2. The book didn’t seem to do well, but he did sell the rights to it. It would be turned into a miniseries, the same one from episode 3. Julia went to work at United Liberty Charities, doing intake for the homeless shelter. The man she was helping would not give her his real name since he believed “they” were listening. Julia shut the door, something she wasn’t supposed to do since the last time she did resulted in a concussion. She confessed to the homeless man her affair and her daughter’s parentage. At Ella’s request, Julia took a cab to the airport to pick up Justin’s parents. Julia was starting to lose control as she ranted to them about becoming a grandmother. Justin’s mother pointed out that being a grandparent was much better than being a parent. However, the stress of the day was getting to her as she spent the rest of the afternoon drinking Mylanta and obsessing over her daughter and the affair with Daniel. Julia confronted Eric about paying for Daniel and Lisa to come with them on vacation. He pointed to having the means while Daniel didn’t. This angered Julia as he sounded patronizing, and she felt it was symptomatic of his Romanov heritage. She imagined telling him about Daniel, but in the end, she didn’t. At dinner, Julia’s stomach pain presented itself as what it really was: gallstones. She would need to have surgery. Eric left Julia in the hospital room with Ella. Ella knew Julia wanted to call Daniel and dialed the phone for her, and the two women came to an understanding. What did you think about The Romanoffs season 1 episode 4? Let us know in the comment section below! The post The Romanoffs Season 1 Episode 4 Recap appeared first on ComingSoon.net.